Mens Black Skinny Jeans Moto. Dark denim never looked so good in these mens black skinny jeans by Glimms. Featuring asymmetric silver zippers with faux snakeskin panels at the knees. Constructed with five-pocket design, zipper and button fly, and belt loops. 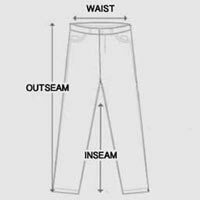 Mens black skinny jeans designed with slight puckering at the inner and outer seam lines for additional stretch. Skinny leg and mid-rise waist for the perfect body-hugging fit. Top it off with a leather jacket for a sleek moto-inspired look. Give your street style some attitude with these mens black skinny jeans.